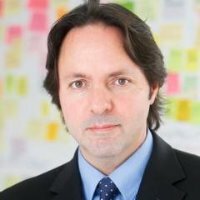 Hugo Nájera Alva is head of digital banking at BBVA Bancomer. He is in charge of multichannel technology, digital channels, financial inclusion, new digital business, virtual payment systems and digital marketing. Previously, he was chief innovation officer at BBVA Group (Spain) where he drove innovation within BBVA and thought leadership for the financial industry’s transformation. Leo: Retail banking has not been very efficient in reaching the base of the pyramid. According to the latest research from the World Bank, approximately 2.5 billion people worldwide don’t have a bank account. This is due to the cost of reaching and servicing such customers. Can you share your thoughts on how technology could help change this dynamic? Hugo: In BBVA, we have been working with clients in the base of the pyramid for many years and we know the cost for serving them is higher than that of richer segments. However, we are also convinced that current technologies are creating new opportunities to create low-cost products and channels which can reach them and provide a comprehensive value proposition to really satisfy their needs. An example is that nowadays, we serve more than 9 million clients who earn less than $500 a month and we are empowering them through solutions like banking agents, simplified accounts and SMS banking solutions. We are launching a new product based on current technologies for base-of-the-pyramid clients every other month. Leo: Banking was originally conceived as a community-based service. When banks became international institutions, some of that warm, customer-friendly experience may have been lost. Do you agree that a positive customer experience should be part of banking services, and if so can you share some ideas on how the banks might address this concept? Hugo: Internationalization and massification of financial services have brought, as a consequence, the loss of human contact with customers. Financial services are based on the trust of the people, and when customers are closer to the bank, the greater the confidence that customers have to work with the bank. Any service requires a good customer experience for trust to occur. Using technology (especially mobile technology) can produce that feeling of closeness and customer service. Leo: At a macro level, one can define the banking function as a collection of services around moving and storing money. Do you find cryptocurrencies an opportunity or a threat to the banking industry? that “buys” and “sells” money. At this time, there is NO restriction on the type of currency that banks can “buy” or “sell”, so that when cryptocurrencies mature enough, banks will be ready to buy, sell and exchange cryptocurrencies with real money. There are already solutions developed by startups that have this same vision and facilitate the exchange or administration of real and virtual currencies. 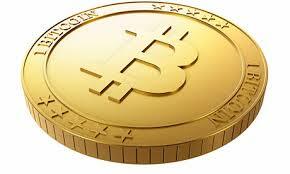 In the future, our clients’ wallets will contain real and virtual currencies, just as they might contain USD, Euros and Mexican pesos today. Leo: Traditional underwriting techniques and collateral-based lending have been a mainstream practice for many years, but it seems they don’t apply to subprime customers (say FICO < 500). Credit experts say “there’s just not enough information to assess risk.” In recent years, there have been many companies trying to tap into alternative sources of information (the social graph, big data analysis…just to name a few). Do you think that such practices will eventually become part of the mainstream? If so, when will this happen? Hugo: In our point of view, the only way to truly go forward with a comprehensive financial inclusion strategy is when banks pass from payments solutions to the base of the pyramid to start intermediating resources to subprime clients. To pursue this objective in a scalable way, banks will have to incorporate disruptive mechanisms to evaluate the capacity and willingness of payment of individuals with almost no information in traditional credit bureaus. At BBVA, we are already working on incorporating new risk assessment methodologies and we are optimistic that we will be able to make a significant difference in the market. Leo: According to the Reputation Institute Survey, the banking industry has a worse reputation than pharmaceuticals, oil companies or media and telecommunications firms. Do you think this is a structural issue or is more due to the shadows of the 2008 financial crisis? And in your opinion, what should the industry be doing differently? Hugo: There is a crisis of credibility of large companies worldwide. In particular, in companies in the financial sector as icons of the capital, this credibility crisis has impacted them worldwide. In Mexico in particular the 1994 crisis, the reputation of banks deteriorated very significantly. This argument has been some public actors, which has increased the low reputation of the bank. To recover the confidence of people, the industry needs two things: 1) provide a service beyond people’s expectations, and 2) be transparent in both operation and information that people are provided. The technology is essential for compliance with both points. We are on this road.